Late in 2018 Pale North released Wasted Years Together embracing a lofidelty mix of dense shoegaze inspired walls of sound and delicate dream pop-esque guitar arpeggiation bound by the rambunctious post-punk proclivities smattered throughout the record. The album itself lyrically, sonically and in creation is nothing short of intimate. The album was recorded by two friends in the singer and guitarist Frank Hops’ basement. Hops has recently released his debut solo record called Wicked // Charmer. The comparisons between Hops’ solo album and what he’s released with Pale North are glaringly obvious but can only reach so far. Wasted Years Together is stylistically more diverse in its approach often having songs that are dramatically different from their start to their finish. 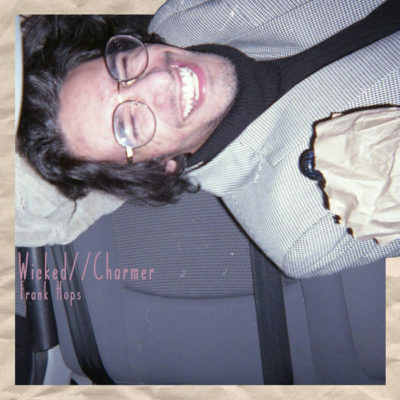 Wicked // Charmer comes off as a far more approachable record whose consistent style fits comfortably within the spectrum of dream pop and slowcore. Glitter, the fifth track on the record, is a rich instrumental journey through different sonic textures that at times are often representative of the more dense portions of previous work. There are no real explosions of noise and drums as was commonplace on Wasted Years Together and the recording and mastering come off as more refined and polished than the fittingly lo-fi recording style of the aforementioned release. Embracing this allows Hops to showcase his adeptness at creating beautiful melodies. Such is certainly the case on the third track on the album, Slowburner Pt 1. Amongst the solitude conveyed through the album are the ever-present themes of darkness, night and sleep. Counting Sheep is a slow building song where Hops poetically and cryptically whispers of the shadows falling on the floor post sunset. These recurring themes are also represented in song composition as is the case when the melody introduced at the end of Slowburner Pt 1 is slipped back into the mix in the second part of the song is representative of the cohesiveness and attention to detail throughout the album.